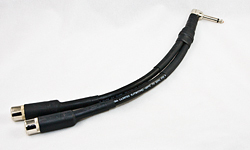 Our Power Series speaker cables are designed for a variety of amplification applications. Anything from powering your front of house PA system to making your bass rig come to life. 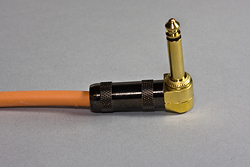 These are awesome products made with either 12 or 14 gauge Coleman cable and available in a large variety of cable connectors (Bridged mono cables are available as well). We also can make speaker cables out of Canare 4S11 Star Quad 11 gauge speaker cable for those who are looking for a little extra out of the sound. 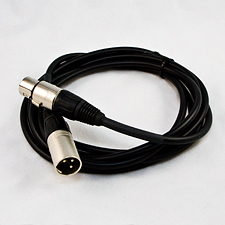 Our microphone products are all made with Canare cable and we use only Neutrik and G&H cable ends. Every cable is assembled by us, by hand, to assure excellent quality and long term reliability. Star Quad is available in 5 colors from us. Our Power Y speaker cables are the most rugged, well built and best sounding speaker Y cables Built in the U.S.A or any place. Originally designed to work with Dr Z amps, our Y cables are well thought out and designed to meeting the needs of demanding touring professionals. I cannot tell you how many times customers write to us complimenting us on the "tank" like construction of these cables. 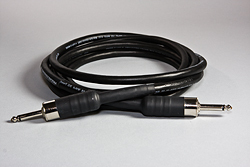 There are many applications for this cable including any single output tube amps like some Fender and Marshall. Our instrument cables are awesome! 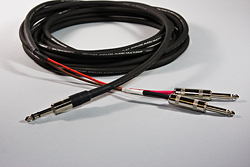 We use 18 gauge Canare GS-6 or 21 gauge Canare 4E6S cable that has a full copper braided sheild that provides silent operation and excellent RF rejection. Great stuff! 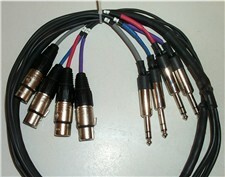 We also sell a stereo guitar/bass cable! Check them out. Be sure to look at the all New, all USA Patriot SX cable, it will blow you away!! 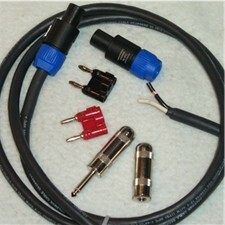 Our Guitar Cables page has a nice selection of the cables designed with the guitar player in mind. We have specially designed Instrument and Speaker cables to meet the needs of the guitar player with carefull consideration put into tone, power requirements and durability. 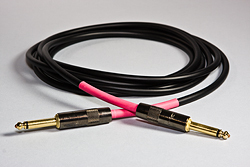 Everyone will sound better with these cables just check out our Customer feedback page. Looking for a flexible guitar cable? All of our selections will fit your needs. Our Wireless Transmitter Cable page has a selection of the cables designed with the wireless player in mind. We have specially designed Wireless cables to meet the needs of the guitar and bass player with carefull consideration put into tone, flexibility and durability. 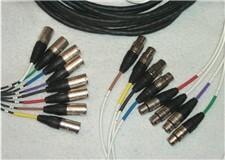 Everyone will sound better with these cables just check out our Customer feedback page. Looking for a flexible wireless cable? All of our selections will fit your needs. 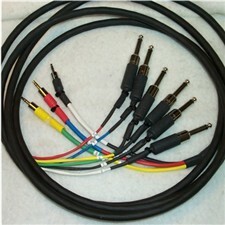 Our selection of Instrument and Speakers cables that have been specially designed for bass players. Tone, power handling and durability were all taken into account when designing these great cables. Our Power Y Splitter box and Happy Cab - Dual Exhaust for your amp, are the most rugged, well built and best sounding splitter boxes Built in the U.S.A or any place. Originally designed to work with Dr Z amps, our splitter boxes are well thought out and designed to meeting the needs of demanding touring professionals. 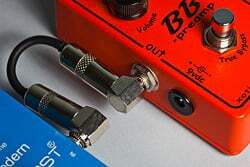 Our pedal board and patch cables are awesome! We have have to choices to meet your needs. 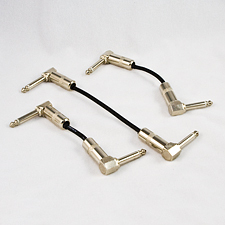 Our Ultra Series Pedal board cables are made with Canare GS-4 and GS-6 instrument and offer suburb sound qaulity and reliability. A very nice upgrade from standard pedal board cables! 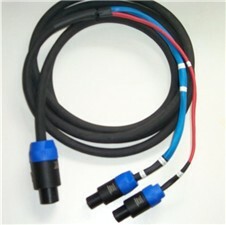 Our Patriot PBX Pedal board cables are for who want the ultimate sound quality our of the pedal boards. The Patriot SX series instrument cable is well known for its incredible clarity, sparkling high end and warm tight bottom. This same cable is now available in pedal board cables. We have all specially designed gold flat "RA" plug for this series and be sure to read about our exchange program for customizing your pedal board. 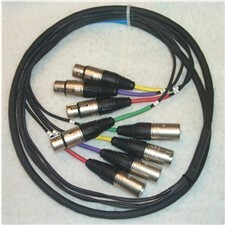 Our selection of audio connectors is what we use for our gigs. If you have a project you want to do yourself or just need some spare parts check out this page to see if what you need is there. Email us if there is something you need that isn't on this page. We are a Canare dealer and have access to virtually anything by Neutrik or Switchcraft. As an independent OEM we had the ability to select the finest cable available to offer our customers. There was no need to reinvent the wheel; we just picked the best of the best. 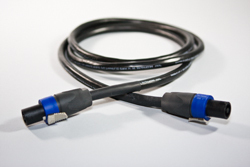 We offer the cables we selected to you at great prices, no cut fees and no minimum orders. Buy what you need and enjoy the quality. Have a special need for your set up? Do you wish you could have an odd length cable? How about a specially wired cable? Maybe you just want to try something because it seems like the right thing to do. This is your place. Look over some of our thought starters and them email us your idea and we'll work with you to make it happen. Quotes, questions and advice are always free so drop us a line! 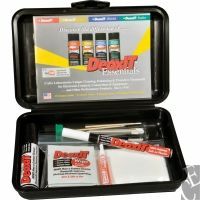 Pro Cables N Sound is pleased to offer you a variety of items we have found helpful over the years, including cleaning supplies, survival kits and guitar and bass accesories.